According to the National Safety Council, more than 40,000 people died in motor vehicle accidents in 2017. This is the second year in a row that motor vehicle deaths have exceeded 40,000 which is certainly a troubling indication regarding the state of car safety in our country. With advancing technology in new vehicles and new vehicle safety laws, one might think that vehicle travel would become safer as opposed to more dangerous. However, technology alone cannot prevent vehicle accidents when most accidents still result due to basic human error, including speeding, distracted driving and reckless driving. Distracted driving: Texting and driving is an epidemic in America. Current statistics show that an accident involving texting and driving is several times more likely to occur than an accident involving OUI. 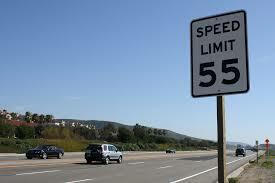 Speeding: Excessive speed is a major cause of traffic fatalities and catastrophic accidents. Drowsy driving: According to the National Sleep Foundation, about 64 percent of drivers report drowsy driving in the previous 12 months. Worse, another 37 percent admit to falling asleep while driving in that same time period. Self-driving vehicles have been cited as a potential answer to the fatal car accident problems that we are currently experiencing. However, fully autonomous self-driving vehicles may remain only a long-term solution to this problem. At this time, the technology has only advanced to where these vehicles are partially autonomous and have experienced their own problems when it comes to driver safety. Never use a cell phone while driving to text, browse the internet or check email. Phone calls should be limited to times where you can focus on driving and not be distracted by your conversations. Drive defensively – do not attempt to cut into traffic if you don’t have room and leave space between yourself and the driver in front of you. Slow down for school buses and pedestrians. Stop at all crosswalks, stop signs, flashing red lights and railroad crossings. Make sure your vehicle equipment is maintained regularly, including your tires. Bald tires can cause hydroplaning and other poor traction issues, especially on wet roadways. If you have suffered injuries as a result of a reckless or negligent driver, you will need to engage the services of a good personal injury attorney. At the Law Offices of Jeffrey S. Glassman, our attorneys have extensive experience with motor vehicle accident cases, and a strong record of winning large personal injury awards for innocent accident victims. If you or someone you know has been injured in a Massachusetts car accident, you may be entitled to compensation for medical expenses, pain and suffering, and lost wages. Contact us at 617-367-2900 today for a free and consultation with one of our Boston car accident attorneys.